On the evening of Friday 14th June, I met Neil Gaiman. I’m a relatively new recruit to the Gaiman fanbase – I loved the Coraline and Stardust movies, but it was some time before I realised he was behind them. Of course, I had heard his name over and over, even followed him on Twitter and Tumblr, but hadn’t read any of his books. So I bought myself a copy of Stardust, following it up with Neverwhere. And now I have an advance copy of his brand new novel; The Ocean at the End of the Lane. I have it before its release date, and I have it signed by the man himself. 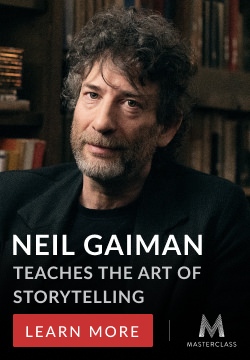 Gaiman will admit himself that he is not the greatest writer technically. In my limted experience of his work, I have found this to be true. He doesn’t always quite nail it when it comes to syntax or word choice. He certainly doesn’t own the language artistry of writers like Barbara Kingsolver. But his stories supercede all of that. While his writing may not be completely on point, he keeps his readers turning pages, and keeps them coming back book after book after book. And I’ve often had this debate with other writers. What’s more important? Good writing style, or good stories? I think that, inevitably, some of this comes down to where you are in your writing career. If you’re trying to make a name for yourself, you’ll be expected to accomplish both. But, as we all know, making it in the writing world also relies on a large dollop of luck – your writing landing on the exact right desk at the exact right time. Neil Gaiman kicked off his tour for The Ocean at the End of the Lane in Bath, UK. In front of a packed auditorium of over 1,000 people, he was interviewed by Jake Kerridge from The Telegraph, before taking questions from the audience. He read two excerpts from the book, both a perfect demonstration of his skill to discover wit in the darkest places; showing his readers the humour in the horror. 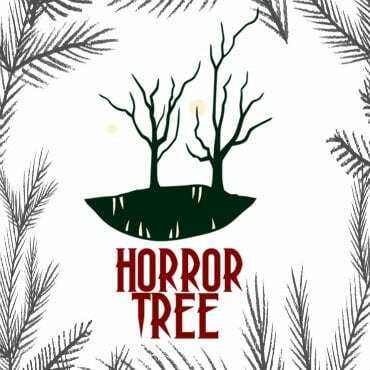 Although he doesn’t classify this particular book as horror, it is certainly a genre he sits comfortably in. He said that horror writers tend to be the happiest people he knows; forever laughing and joking. While it appears to be completely at odds with the contents of their fiction, he explains this by pointing out that “people who write horror get to pull the things out of their head and put them on the page, and let them destroy opther people’s lives.” Writing as the ultimate form of therapy. In a show of absolute, and truly admirable repect for his fans, Mr Gaiman signed books into the small hours of the morning, determined that no one would miss out on the chance to meet him. An absolute gentleman, and a total inspiration.